Do you need help with garden clearance in Clerkenwell, Finsbury, Barbican or the surrounding EC1 area? Look no further than Away With It! 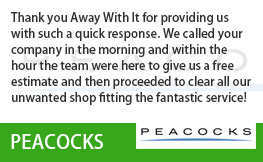 We’ve been supplying garden clearance Clerkenwell residents trust and recommend for almost 15 years. 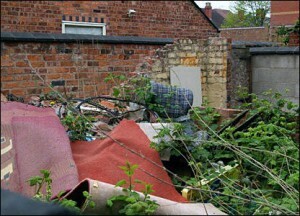 Garden rubbish clearance is a time consuming job and garden waste disposal can be a real headache. But with our garden waste removal services it couldn’t be easier. 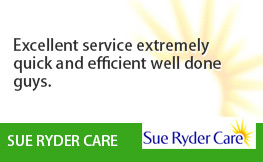 Our flexible, fast and efficient team will clear your garden waste fast. We can also dismantle and clear any sized sheds, coal bunkers, greenhouses, patio slabs, broken walls, fence panels and posts and other garden related items. All our vehicles come equipped with all the tools for the job including wheelbarrows, shovels, brooms, rakes, sledge hammers and anything required for the job in hand. 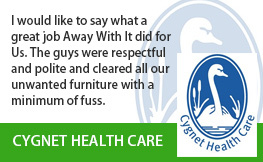 Plus, when the job’s done we will sweep and rake up everything leaving your garden spotless. We are registered waste carriers. 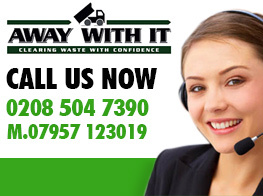 You can trust us to perform an entirely professional job and take care of all your waste properly and lawfully. We are a local company and operate 7 days a week from 7am to 11.30 pm. Evening and weekend appointments can always be arranged for your convenience. 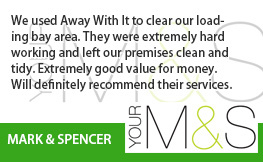 We provide a quick, on demand removal service. When you need us we are only a telephone call away. Appointments are in two hour slots and we’ll definitely call beforehand to let you know when we’ll be arriving so you’re not left hanging about. Our clear pricing means there won’t be any disagreeable surprises when the job is completed. The price we quote is the fee you will pay without hidden extras. To talk about your requirements for garden clearance Clerkenwell call us right now on 0208 504 7390. 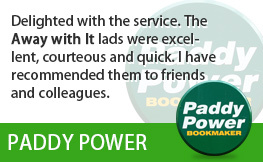 We’re available 7 days a week from 71m to 11.30 pm to take your call. 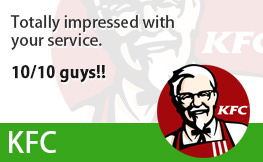 Our experienced staff members will be delighted to answer your questions and give an economical free estimate. Or you can send your particulars using our simple request a quote form and we will get back to you fast.